The Altar Guild is charged with the responsibility of assisting the officiating priest with arrangements for weddings and blessings. A member of the Altar Guild may be present at the wedding to assist and support the wedding party and to insure the smooth flow of the service itself. Often, at least one member of our Altar Guild is present for the wedding. Family and friends who have been trained as acolytes are welcome to serve in this capacity. 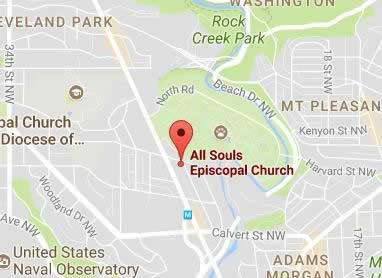 Normally, a $200.00 donation to the All Souls Altar Guild is made. If additional acolytes serve for the couple, it is customary to make a small donation to them. All ceremonies at All Souls are conducted by a priest associated with this parish. At the couple's request, the priest may invite an Episcopal priest from another parish, or diocese, a clergy person from another denomination to assist in the ceremony. The officiating priest must be notified of any desire to include other clergy.